I recently returned to some WW2 wargaming, after several months spent pretty much exclusively in building up and using my new SYW collection. The return took the form of a Polish - German battle set in 1939, and for an easy re-introduction to the rules I made it a straightforward attack-defence game with limited forces. As usual with games against my most common opponent, Paul James, it was an enjoyable evening and a pleasant game (I provide the set-up, Paul provides the booze, which seems a fair division of labour). Nevertheless, there was a certain air of predictability about the game - the Germans came on towards the objective, and the Poles mostly stayed in place and shot back at them. Of course, the attack-defence battle is probably the type of battle most common in real life, at least in this period, and I have played very many of them. But this recent game reminded me how easy it is to get stuck in something of a rut, scenario-wise. With the modern period we have the classic attack-defence scenario, with earlier periods the equally classic encounter scenario, where both sides set up opposite each other in roughly equal numbers then advance to contact. The classic source for the latter experience was (and is) the world of the Wargames Research Group, particularly the various editions of the old Ancients rules and more recently the DBX group of rules. There were rules for flank marches in these sets but in my (limited) experience they were rarely used. It was a case of setting up opposite your opponent and setting to, almost every time. I think the extensive use of these rules in competition games served to emphasise the trend. However, I shouldn't give WRG all the blame. This is how most wargamers seem to set up most of their battles most of the time: line 'em up and fight' em. Many would argue that this was how battles were in most historical periods. Sometimes I wonder if the actual situations were quite so cut and dried. I was influenced in particular by Angus Konstam's Osprey book on the Battle of Pavia. The battle had always been depicted in the usual linear 'set up opposite each other' style, but Angus did the research and came up with a much more convincing scenario which explained the course of the battle well. This had units and formations encountering each other in 2 or 3 different locations, and from different directions. One doesn't have to read much military history to conclude how confused and unexpected many battle situations are. Of course, the rather unimaginative set-ups described above are still technically 'scenarios'. But most wargamers would understand the term to mean a variety of imaginative set-ups that provide rather more varied and interesting games. Further to my point above about Pavia, when the appropriate research is done, historical encounters often provide for scenarios that lead to unusual and surprising set-ups, with (for example) baselines that are not always opposite each other, reinforcements that arrive at odd times, initial deployments which take place all over the table, and unevenly matched forces. Armies find themselves attacked from the rear, or both sides, or surprised in various ways. And these types of situations can be reproduced in fictional scenarios as well. The king of the latter is of course Charles Grant, or rather Charles Grant, then his son C.S. Grant. Their 'Table Top Teasers' are well known to most wargamers, from old copies of Battle or Military Modelling, to the current Battlegames. C.S. Grant and Stuart Asquith have also produced a couple of books consisting of around 50 scenarios each to tempt the wargamer. The more recent of these, Scenarios For All Ages, I have recently been using to pep up my SYW gaming. The books in particular are a testimony to how, with a bit of imagination, each of your games can be very different from the last. If I have one criticism, it is that most Grant scenarios are written for the horse and musket period. There is usually a sentence stating that the scenario can be easily adapted to a number of periods - but somehow that easy adaption is never taken up by the author. A Battlegames Table Top Teaser set in Ancient times, or WW2, would be a real treat. Teaser 'Advance Guard', from 1978. Apart from simply making games more interesting, varied scenarios are useful for testing out whatever rules you are using, and furthering your understanding of them. Can your rules cope with unusual situations? Do you need to develope better conventions for deployment? If you always play the same kind of game, your rules will not get the workout they need for you to appreciate their strengths and weaknesses fully. The better sort of rules these days will also come with deployment options to provide for a number of scenarios. My current WW2 set, Blitzkrieg Commander, is a case in point. Fifteen different scenarios are provided as part of the rules, giving deployment conditions, force ratios, game lengths and victory conditions. Finding good scenarios based on real battles is more difficult than getting hold of fictional ones specifically designed to give varied games. Doing your own research and developing your own reality-based scenarios is the answer, even if obtaining the right amount of detail for actual actions can often be difficult. 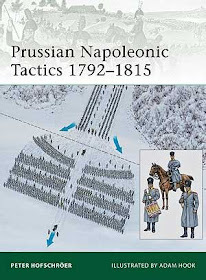 What's interesting from my point of view is that when you do develop a scenario from details of a real battle, one often finds (as already mentioned) that the resulting set up is much more unusual than the attack/defence or balanced encounter which forms the basis of so many wargames battles. I was particularly pleased recently to obtain a copy of the book Benghazi Handicap by Frank Chadwick. This is designed to support the Command Decision - Test of Battle rules, but the level of research and presentation is so high it is an outstanding source for the early Desert War (to the end of 1941), regardless of which set of rules you use. It contains 12 scenarios at the end of the book, all eminently gameable without having to acquire large armies. Indeed, using my 1/285th scale miniatures, it seems the 6' x 6' tables suggested for most of the games might be reduced to 4' x 4' in many cases, giving scenarios that are realistic but also ridiculously easy to set up. I have decided to try the Battle of Mechilli scenario first, and will be posting the re-fight soon. Unfortunately, time is often limited when setting up one's games, and this can be particularly true in a club environment when a quick pick-up game is played. This restricts the amount of thought that can go into the scenario. The answer of course is forward planning, but on the other hand this is a drawback of the more involved scenario - it needs to be thought about in advance, and all the right terrain and the right forces need to be available. Nevertheless, the effort is almost always worth making. It can bring a whole new level of enjoyment to your wargaming. Anyone interested in this subject should take a look at Bob Mackenzie's website: the link to Bob's site is included in My Favourites. On Bob's homepage, go to Wargames and then Scenario Design. An interesting and well written article awaits you.